One person can make a difference and this series profiles a leader, advocate, or resident who is dedicated to improving energy efficiency and helping the county realize its goal to reduce greenhouse gas emissions by 80% by the year 2050. Find out more about them in their own words. My Green Montgomery: When did you first become interested in energy and climate change? Jordan: I’ve had an interest in the environment and protecting our planet for as long as I can remember. I was lucky enough to spend my childhood exploring the mountains and deserts out West and my teenage years living near North Carolina’s Blueridge Mountains. Spending so much time around such beautiful places instilled within me a strong reverence and love for the natural world. I turned my passion for the planet into practical knowledge and skills in college where I majored in environmental studies and spent a semester abroad studying sustainable development. 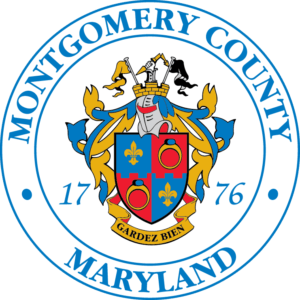 MGM: What do you like most about living in Montgomery County? Jordan: I am a brand-new resident to Montgomery County, so I’m enjoying getting to explore all that the area has to offer! So far, I’ve been thoroughly impressed by all the county’s work related to health and the environment. I’m also spending as much time as possible finding the best places to explore the outdoors and the best running trails. MGM: If you could be a renewable energy source, which would one would you be? Jordan: I spent a semester of my college career living in Copenhagen, Denmark, so I find myself a bit partial to wind energy. 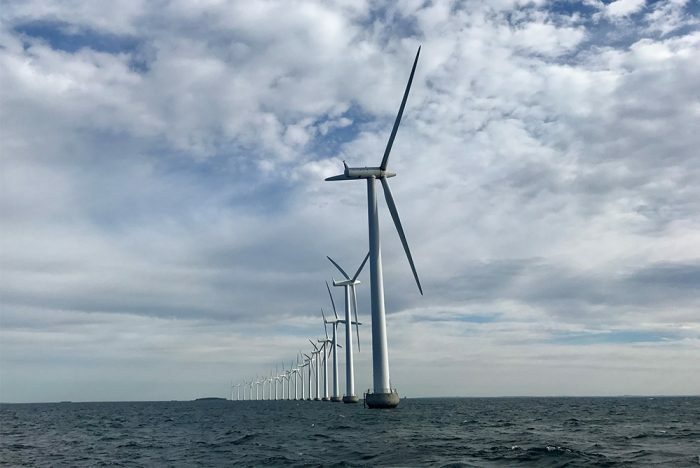 My favorite running trails in Copenhagen took me past wind-farms, and many of my classes were spent discussing Danish wind energy. I found myself impressed by the resiliency of the turbines even in tough weather conditions. On the rainiest, windiest days the wind farms were running at full force. I’d like to think I could be as resilient in all different conditions. MGM: What has been your proudest accomplishment when it comes to energy or water savings? Jordan: I’m proud of the little things that I have been able to accomplish in my day-to-day activities. I’ve taken ownership of making my home as energy efficient as possible. From small actions such as using cold water when I wash my clothes and taking shorter showers, to taking public transit or riding my bike as often as possible, I’ve tried to incorporate efficiency into my life in as many ways as possible. MGM: What green projects are you working on now in your home or community? Jordan: I’m currently serving as an AmeriCorps VISTA with Montgomery Housing Partnership. MHP is a non-profit committed to preserving and expanding quality affordable housing in Montgomery County. As a VISTA with MHP, I’m working on several different green projects to help our residents save on their out-of-pocket expenses while also embracing more sustainable lifestyles. Specifically, I’ll be working on connecting our residents to community garden spaces to grow their own food, as well as providing our residents with “green living” resources for their homes. I’m excited to see how our garden spaces bloom and how our residents engage with green living opportunities over the course of the year! MGM: What’s your favorite way to save energy in your home? Jordan: I’m a fan of taking advantage of as many passive heating or cooling techniques as I can and letting the elements do part of the work of keeping my home comfortable. On a warm day, the first thing I do is turn off the air conditioning and open the windows to let the warm air and sunshine in. Even in the winter I try to open the blinds and let the sun warm my home rather than turning up the heat. Not only does this allow me to keep my utility bill lower, but also allows me to feel more connected to the outside world while in my home. MGM: What’s one thing you’d like to share with your neighbors about energy efficiency? Jordan: I think it is incredibly important to understand that you can start where you are with energy efficiency. You don’t have to have a lot of knowledge and resources to start saving energy. There are so many little things you can do throughout your day at work, at school, or at home to save energy and water. Once you start forming these efficiency habits it can become fun to try to embrace more and more of them. When we all work on them together, the impact grows even larger.